On Saturday, August 22nd, we will be the house band for the Silicon Valley Roller Girls double header bout. We will play at 5:30pm before the first bout, between the two bouts, and during half-time of each bout. 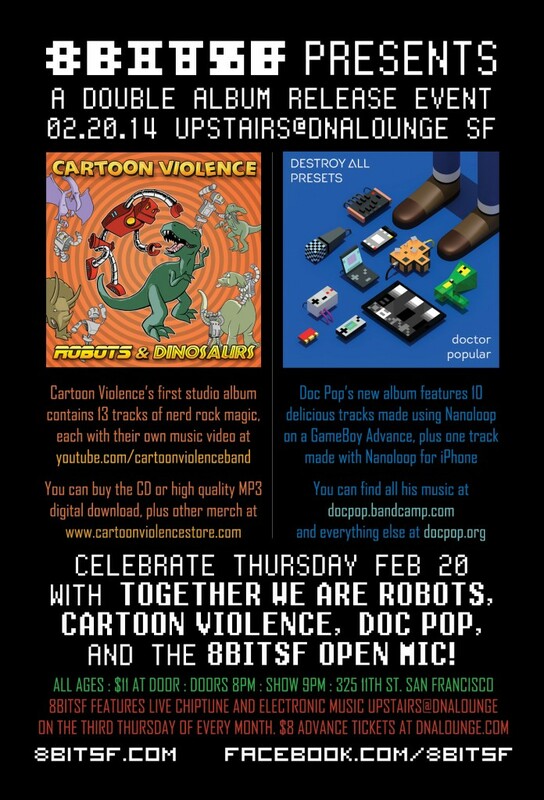 Use the coupon code CARTOON to get a special $12 price on advance tickets ($18 at the door). 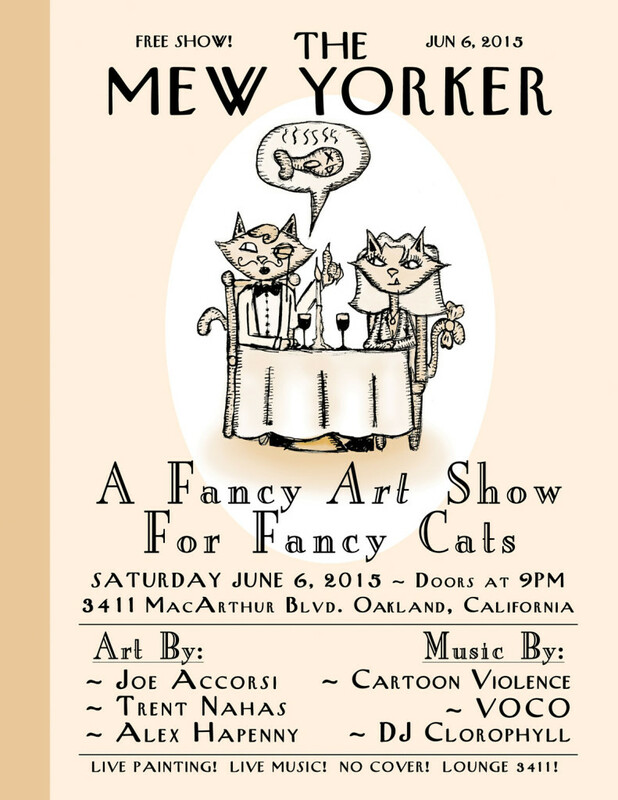 We have two great art and music shows coming up in Oakland in June. Beyond your ordinary allotment of vaganzas, this extra vaganza will thrill you and ignite the midichlorians inside your blood! 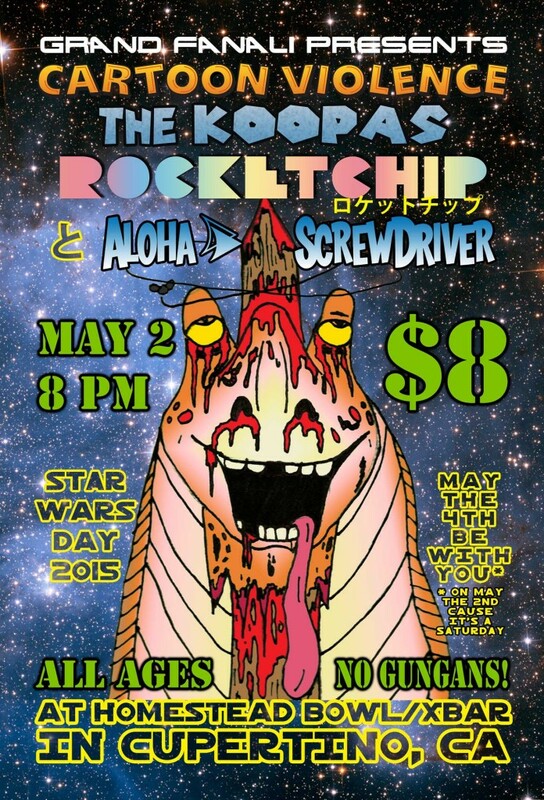 Join us on May 2nd, which is a Saturday, to celebrate Star Wars Day (May the 4th Be With You). 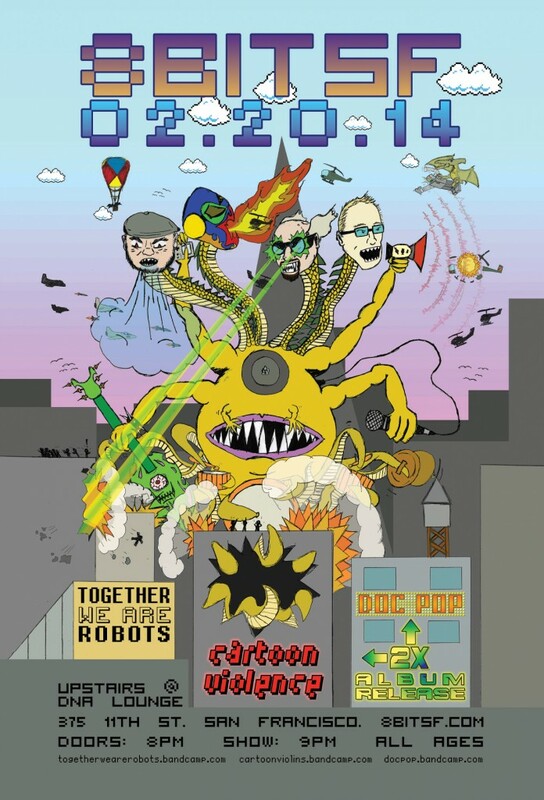 Save $5 from your tax refund to come see live rock punk and pop chiptune music! 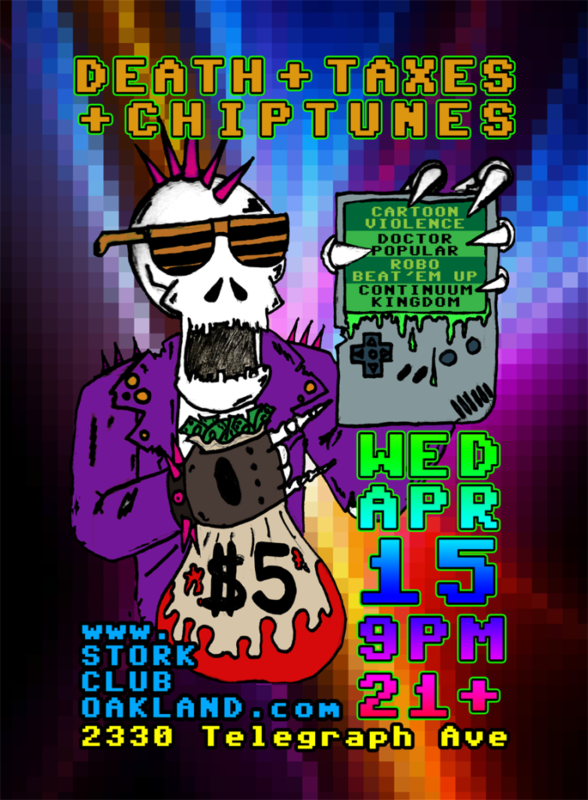 DEATH + TAXES + CHIPTUNES: Wed. Apr. 15, 9pm, 21+ $5 entry. Local music made with videogame sounds and electronic doodads. 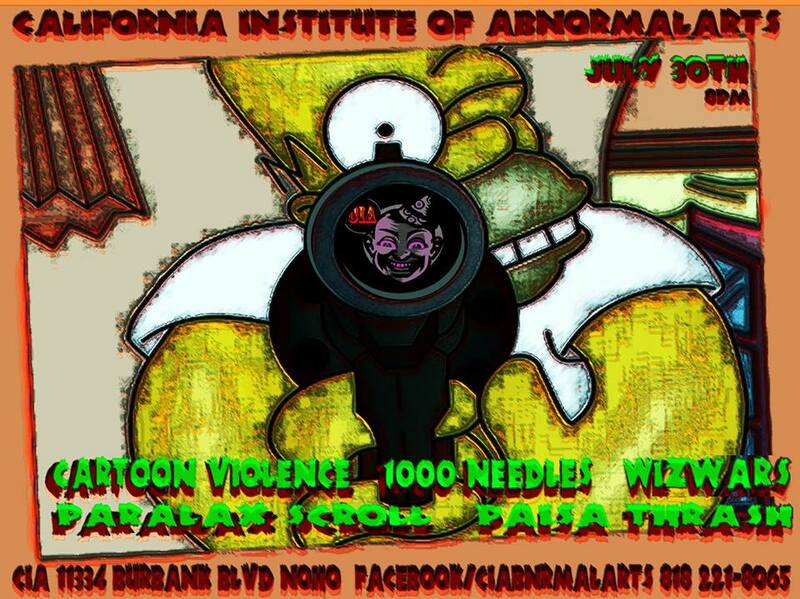 Cartoon Violence (Oakland), Doctor Popular (SF) , Robo Beat’em Up (Oakland), and Continuum Kingdom (San Jose) represent a diverse sampling of the vibrant Bay Area Chiptune, 8-bit, and electronic music scene. 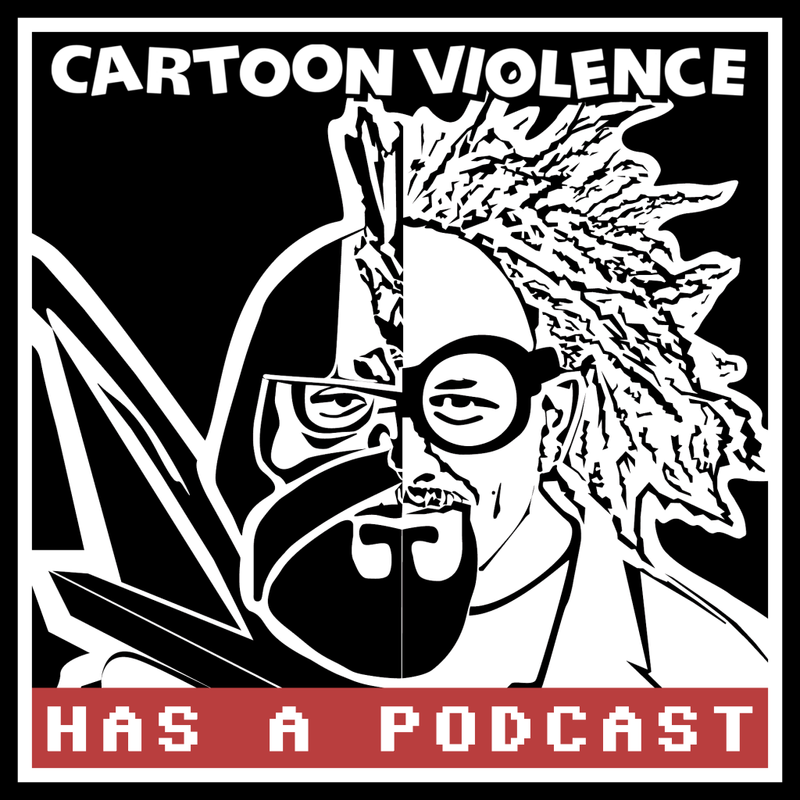 Cartoon Violence: Nerd Rock Electro Punk Chiptune Dance Party! Doctor Popular: Catchy electro pop performed on old Game Boys and toy synthesizers. Robo Beat’em Up: Unquestionably the ultimate experience in robot chip punk. Continuum Kingdom: Post chip concept jam rock from San Jose. Video Release show for our song Data, Input. Music video premiere 9am. Concert 8pm. We are pleased to announce a new upcoming show, with our friend Jean Baudin and 11-year-old rock sensations WJM. All ages, free, Saturday October 25th at 7pm, at the San Pedro Square public market. We will be playing another show in Oakland for the first time in years. 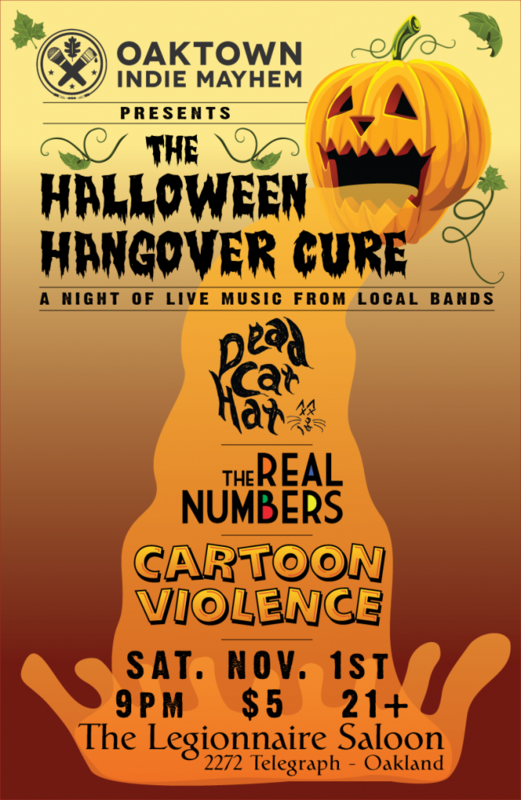 Come see us live with Dead Cat Hat and The Real Numbers, presented by Oakland Indie Mayhem. Click the image to RSVP on Facebook. Limited edition posters of the above artwork available at the show.